Nivea lip balms, especially the Cherry, Strawberry, and Peach variants have gotten numerous cameos on different K-pop idol’s pictures and videos. SEVENTEEN’s S.Coups was seen using this lip balm for a reality show, while iKON’s Yunhyeong and Hanbin love the Cherry and Peach flavors respectively. Rumor even has it that Yunhyeong loves this lip balm more than his fans! BTS’s Jungkook was also seen enjoying this and his photos were afterwards used to endorse the product, leading to the lip balm getting sold out in Korea. It’s amazing because these lip balms are practically classic beauty staples; I remember owning three at one time! They do look pretty with a hint of tint and small specks of glitter that give color and shine to my pout. The makeup artist of BTS’s Jungkook was spotted retouching his lips with this lip balm in a behind-the-scenes video, while fan accounts have it on good authority that fellow member Suga uses this, too! 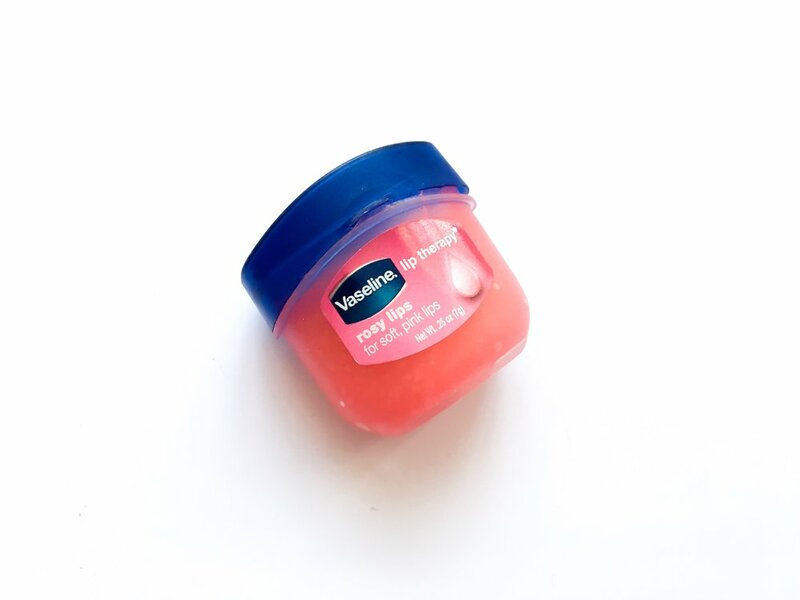 Vaseline Rosy Lips is a heavy, pink lip balm that applies sheer on the lips. It’s great to use as the last step of your skincare routine to hydrate your lips. I personally love using before bed as an overnight treatment, and I wake up with soft lips and some loose skin that I can easily exfoliate with a towel. I like this formula better than the ones in tubes as this feels lighter on my lips. Wanna One’s Kim Jaehwan was seen applying Lip Ice Sheer Color Tint Balm during and after participating in the show Produce 101, which instantly made this lip balm popular. The Lip Ice Sheer Color Tint Lip Balm is a clear lip balm that turns pink upon application. What’s cool is that it can be layered to create a stronger color! It dries about 3 to 4 hours after application, leaving behind a reasonable amount of moisture and a strong tint. This is one of the products actually revealed by the makeup artist of Wanna One’s Minhyun! The Chateau Labiotte Wine Lip Tint is a watery lip tint that has great pigmentation. The color is vivid unlike other watery tints that usually deliver a more natural color. It’s ideal for on-stage makeup because its longevity, lasting through even the most physically taxing dance performances. Both male and female idols, like Wanna One/ NU’EST’s Hwang Minhyun and BLACKPINK’s Lisa, have been seen with the Peripera Ink Velvet in their (or their makeup artist’s) kits. 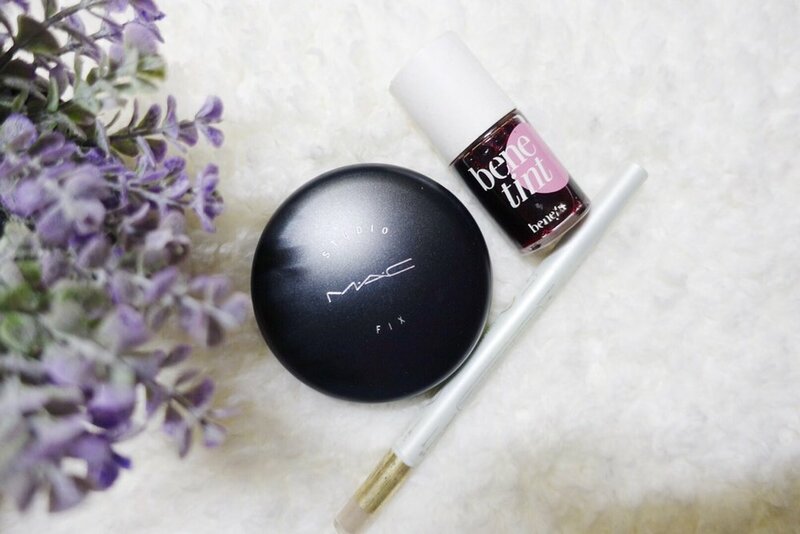 These soft and pigmented lip tints are super comfortable, and depending on the method of application, can be made to look like a bright pop of color or a muted everyday lip. The exact shade/s used by the idols have not been disclosed but the one featured in BLACKPINK’S Get it Beauty episode looks like Celebrity Deep Rose! BLACKPINK’S Lisa and Jennie were both seen with MAC lipsticks in their stash during their Get It Beauty guesting but the shade names were unfortunately not revealed. MAC bullet lipsticks have several different finishes and a VERY wide array of colors to choose from though, so you can definitely find one that suits you best. Some of their most famous shades include Ruby Woo, Velvet Teddy, and Mehr, or you can check out Maine Mendoza’s lippie collab. BTS member Jungkook was seen using this product in one of his Vlives (online video streaming for celebrities) while fellow member Jin was spotted applying the Advance Therapy version. 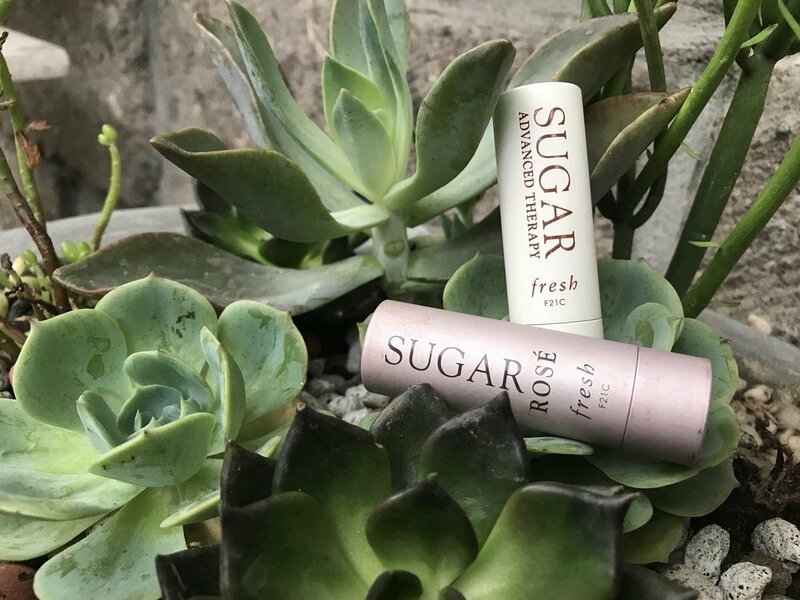 Even our own EIC Liz has raved about this balm, which is formulated with beeswax and a mix of castor oil, jojoba oil, and olive oil to give it just the right amount of slip and moisture. Twice’s Nayeon is well-known for being an avid fan of makeup. On a show (therefore I am not sure if this is a product placement or not), she revealed that NARS Velvet Matte Lip Pencil in Dolce Vita is one of her personal favorites. This lip pencil swipes smoothly but has a lightweight matte finish. 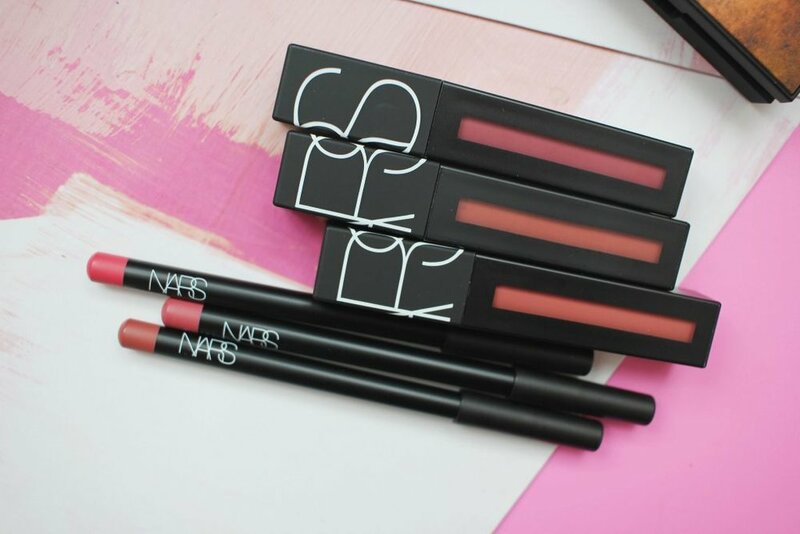 The NARS Powermatte Lip Pigment claims to be a lightweight, long-wearing, matte liquid lip with concentrated liquefied pigment for smear-proof wear in one swipe. EXID’s Junghwa was spotted swiping this product on backstage during a Vlive broadcast, proving that the formula can last through all the singing and dancing that idols do for a performance. Benefit’s Benetint is the OG lip tint, even for Koreans. 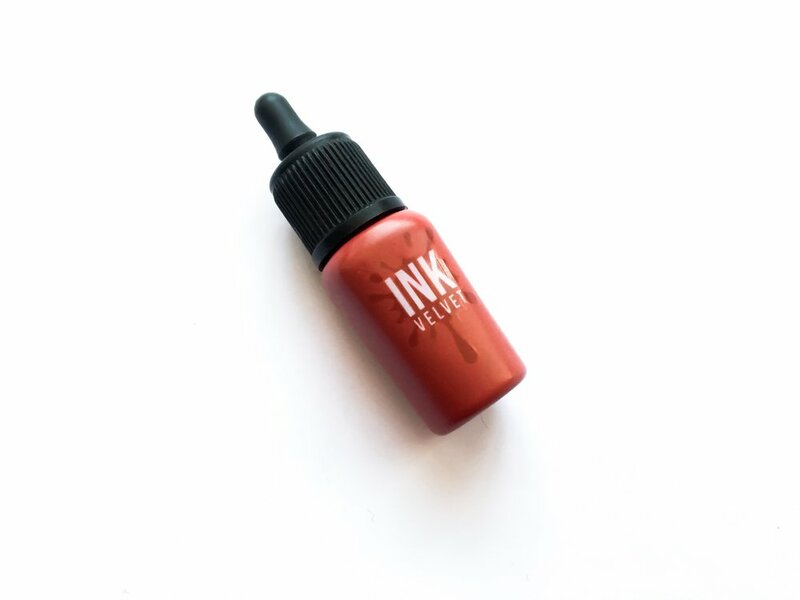 This subtle red tint gives the most natural flush on the lips and cheeks. No wonder even male idols such as Wanna One’s Bae Jinyoung use this, as seen during his participation on a reality show. So, there you go: You can cop your favorite idol’s moisturized pout, and you don’t necessarily have to break the bank! Do you know of other products used (but not endorsed) by K-pop stars?